Plan your next adventure to Morro Bay, California! As you browse through the pages of our Visitor Guide, you will be inspired to explore miles of beautiful sandy beaches, the national estuary, numerous land adventures and excursions in the bay or on the Pacific Ocean. Home to world-famous Morro Rock, this seaside destination serves as the backdrop to an abundance of year-round activities like boating, kayaking, surfing, golfing, hiking and biking. Enjoy tons of events, shopping galore, delicious dining options and many comfy places to stay! 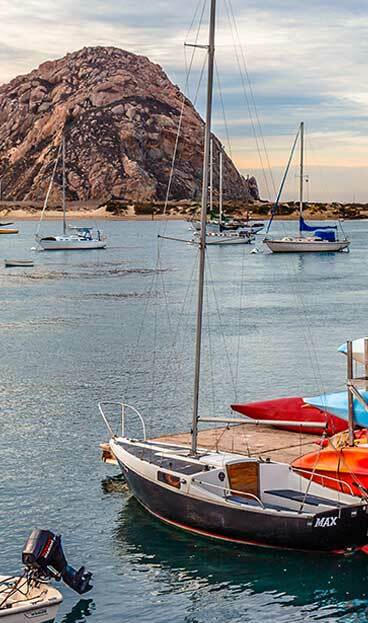 Download or request your FREE guide on anything and everything there is to do in Morro Bay--from places to stay to shopping, dining, attractions & entertainment, outdoor recreation, sports, wellness, and our complimentary services, it's all here!